The Bill seeks an increase in the provision of social and affordable housing to 25% in private developments. GOVERNMENT IS SET to oppose a Bill that would increase the percentage of social and affordable housing in private residential developments and in strategic development zones. 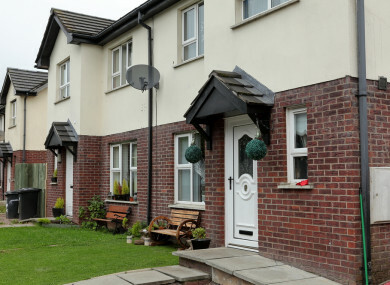 The Sinn Féin Bill seeks an increase in the provision of social and affordable housing to 25% in private residential developments and to 30% in strategic development zones. Currently, private developments must include 10% social and affordable housing. The Bill, introduced by Sinn Féin’s Eoin O’Broin, aims to bring about this change by amending the Planning and Development Act. The government will oppose the Bill, as it holds the view that it is “very likely that any increase in the social housing requirement imposed on developers could have an unintended impact on house prices”. A government spokesperson explained that this is because developers will most likely seek to offset any reduction in their overall profits likely to be caused by the increase in social housing requirements by increasing the prices they charge for the private element of their developments. “Thus, private buyers may end up paying more for their homes than would otherwise have been the case. As well as this being unfair on private buyers it would also add to house price inflation- something we would all like to avoid given our recent history,” he said. The local authority has the discretion to decide what percentage of a development must be reserved for social housing, but this is subject to a cap of 10% of the development. O’Broin explained that to 2015, the cap was higher at 20%. However, he stated the cap was reduced to take account of the change in the economic climate and due to the lack of construction taking place. Reducing the cap was to encourage more construction and increase the overall number of social housing units available, however, it did the opposite, he said. While the government claims the increase would increase the cost of houses, O’Broin states it would actually decrease the costs. “On the one hand the government is saying an increase in social housing over 10% is a bad idea, yet it is being done with the Poolbeg site,” he added. Around 3,500 homes are to be fast-tracked on the Poolbeg site, with almost 900 of these earmarked as affordable housing, well over the legal minimum of 10% required. O’Broin said there is a desperate need for social and affordable housing. He added that more social and affordable housing will only help tackle the housing crisis. Email “Government to oppose Bill that would increase social and affordable housing in private estates ”. Feedback on “Government to oppose Bill that would increase social and affordable housing in private estates ”.